Ever switch sewing machine needles and then not know which one was which? Even worse is trying to read that super tiny embossed identification on the needle itself! After 5 minutes of trying to get the magnifying glass at the perfect angle with the perfect amount of light so I could read the numbers, I thought "There has got to be an easier way!" 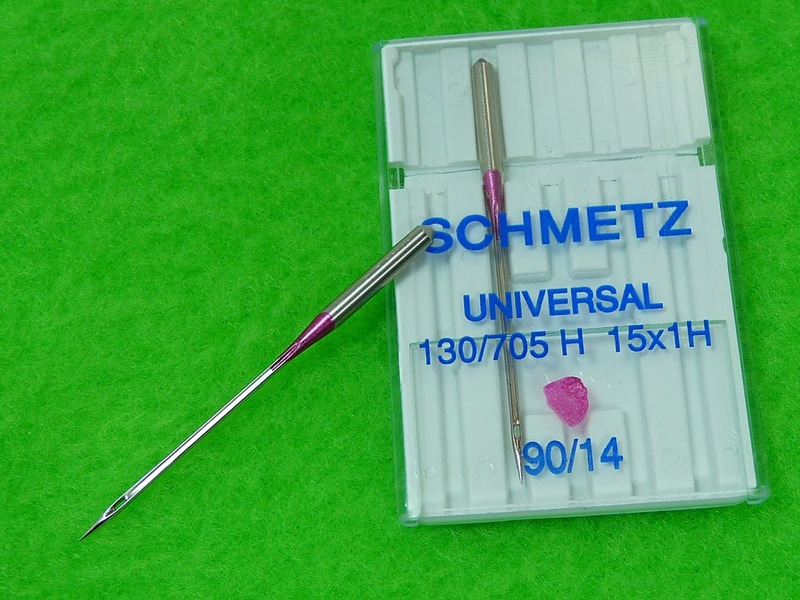 Singer needles identify themselves with colored posts, but Schmetz needles don't and that coloring is very helpful. Now I really only use two types of needles so If just one of those were marked that would make life so much easier! Quick Tip: Paint a little nail polish on the shaft of your needle. You'll have to ID the case the same way or if you're like me I often have my loose needles that are still good pushed into a small piece of card stock so they don't get mixed up with the brand new ones. Use different colors for different needle types!